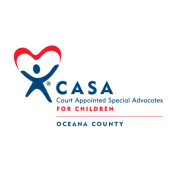 Court Appointed Special Advocates (CASAs) are trained volunteers appointed by the judge to represent the best interest of children in the court system due to abuse or neglect. A child with a CASA is more likely to succeed in school, receive additional services they need while in the system, and reach permanency sooner. Volunteers are required to go through 30 hours of pre-service training. The CASA stays with the child until permanency is reached and their case is closed. CASAs spend time with the child, getting to know their needs and wishes, getting to know other parties involved in the case, checking pertinent records as needed, and making recomendations to the court that are in the child's best interest. A potential volunteer must be at least 21 years of age, have a GED or High School Diploma, able to communicate in a professional manner, maintain objectivity, and have access to reliable transportation.